Published on August 14, 2018 in the Los Angeles Daily Journal – On the continuum of life, 100 years is not a terribly large amount of time. In 100 years, a glacier will move 50 meters, a redwood tree will amass its full height of 200 feet, and the big island of Hawaii will grow by seven square miles. Those may seem like significant achievements, until it is remembered that it took 12,000 years to form Niagara Falls, 6 million years to forge the Grand Canyon, and 70 million years for the Indio-Australian and Eurasian plates to collide, creating Mt. Everest. In the turn of a centurion mark, the Great Pyramid of Giza was erected and the immortal faces of Mount Rushmore were carved, but world evolution only marginally advanced. It simply takes time for monolithic changes to be made. In the language of evolutionary development, 100 years is a mere blip. Societies are no different. Julius Caesar roamed the land some 2,100 years ago, and notwithstanding sustained periods of famine, conflict and drought, it took until the year 476 for the Roman Empire to collapse. Changes in the imperium created by King Rolumus occurred at a plodding rate. The same can be said of the Ming Dynasty, the Windsor Monarchy and Imperial Japan — they all rose, and fell, at an exceptionally steady pace. If societal evolution is a concept of linear advancement, it is rather odd then that in the last 100 years, life has progressed at such an exponential clip. It is almost as though civilization advanced one teaspoon at a time, until the last 100 years, when progression came raining down in industrial-sized buckets. For thousands of years, horseback and boating were the only appreciable modes of transportation; today we blast into space with such regularity that it is hardly seen as newsworthy. Times when people marveled at the invention of the locomotive have been replaced with military fighters that transgress the globe at Mach 6 speeds. Just how far have we advanced in 100 years? In 1918, women couldn’t vote, sit on a jury, hold a professional license or even open a bank account in their own name. It wasn’t until the following year when the 19th Amendment was passed, that women finally began to have appropriate standing in society, yet even then it was at a dreadful pace. Women could finally vote, but until the Equal Credit Opportunity Act of 1974, it was perfectly legal for banks to refuse to issue credit cards to women solely because of their gender. Incredibly, women could not even gain full admittance to Harvard, Dartmouth, Yale, Columbia, Brown and Princeton until the Jimmy Carter era, when total gender integration finally occurred. In 1918, lifetime health was anything but expected. Ninety-five percent of all births took place at home, and life expectancy was a mere 39 years — largely believed to be the result of the Great Influenza Pandemic, a plague that ripped through the borders, killing 50 million people globally. Vaccinations, of course, had not been invented, and if parents wanted a family of four, they often saw the wisdom of starting with a family of five. Even the simplest of things were not offered as given. Our nation did not have minimum wage, only eight percent of homes had phones, there was no Mother’s Day or Father’s Day, and it was not until March 1918 that Congress passed the Standard Time Act, the law which established time zones throughout the U.S. Prior to that, 6 a.m. was 6 a.m., everywhere. 1918 also saw the formation of the 18th Amendment, a constitutional ban on the sale, manufacture and transportation of alcoholic beverages. It was still legal to drink it, but get caught selling a glass of wine, and you would be marking off days inside a cell for quite some time. Citizens would have to wait until 1933 before enjoying an adult beverage that wasn’t served by lawbreaking moonshiners. Yet perhaps the most significant aspect of 2018 is that it marks the 100th anniversary of the end of World War I, the war that was sure to “end all wars.” The great world conflict claimed 16 million lives (the Gulf War, by comparison, claimed 20,000), and resulted in the freeing of Poland, Estonia, Yugoslavia, Czechoslovakia, Hungry and Yugoslavia. The end of the war also paved the way for the Paris Peace Conference and the Treaty of Versailles, but it also created a void in Eastern European politics that allowed for the formation of the Union of Soviet Socialist Republics, the ironfisted regime that stood firm until December 25, 1991. On a macro basis, the automotive industry propelled the U.S. to international supremacy without apology. In 1918, there were a mere 8,000 cars on U.S. highways, and a mere 144 miles of paved U.S. roads. But that year General Motors acquired the Chevrolet Motor Company of Delaware, and from that point forward, motoring would never be the same. It its 77-year reign as the largest automotive manufacturer in the world, GM brought us everything from front-wheel drive vehicles, to cars with turn signals, to in-dash AM/FM radios, continually challenging its competitors to innovate. 1918 also saw the creation of General Motors Acceptance Corporation, the automotive financing company that has since been renamed Ally Bank. GMAC was the origination of the consumer auto financing and dealer floorplan financing, both of which revolutionized the industry. Prior to that, consumers were left to their own to figure out how to pay for vehicle, and dealers had little assistance in buying cars from the factory. So, if the last 100 years have caused the development curve to vertically skew, what can we expect over the next 100? Ask 50 people, and you will get 50 different answers, but some public thinkers predict that life expectancy will hit 150 years, colonization on other planets will have begun, we will have one world currency and we will forget how to drive. For ages, all roads led to Rome. Society progressed one solid step at a time, with inventions occurring at a generational rate. Now, inventions occur faster than a presidential campaign, pushing us into areas that barely seem believable. Not so long ago, sending a written message to China took weeks to complete. Today, a six-year old with a smart phone can accomplish the task in less than a second. 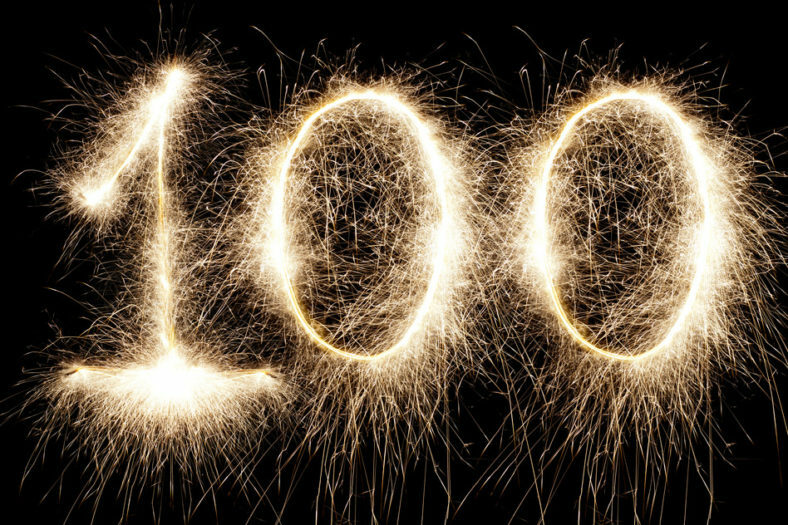 It is certainly an interesting time, and one can only wonder, what will the next 100 bring. Jonathan Michaels has litigated some of the most important cases in the automotive industry. He is responsible for filing Ponce v. General Motors – a national class action case against GM for the concealment of a deadly defect in its vehicles for 13 years; and Spitzer Motor City v. U.S. – where he represented terminated Chrysler dealers against the U.S. for the “taking” of their franchises in 2009, a violation of the 5th Amendment. He has also litigated cases against nearly every major auto manufacturer, including GM, Audi, Maserati, Mitsubishi, Kia, Nissan, Honda, AM General, Isuzu, Toyota, Hyundai, Harley-Davidson, Ford, Chrysler, Tesla, Volvo, Volkswagen, Aston Martin, Land Rover, Mercedes and Porsche.